Location: Starts in Paluma village, finishes near Eleanor Creek on the Bruce Highway 8km north of Frosty Mango. 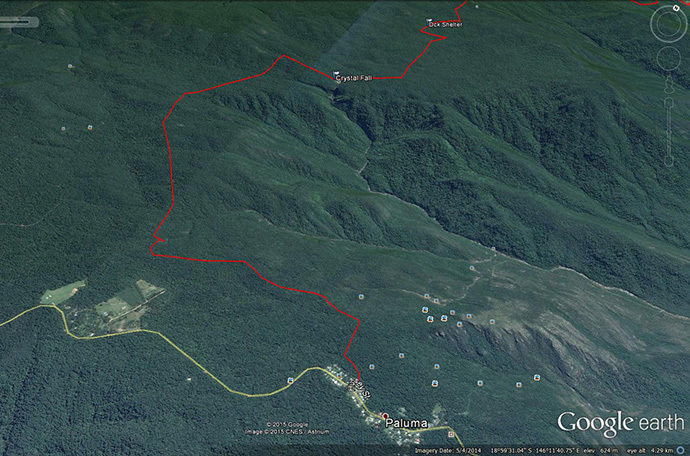 The route from Paluma to Bambaroo. Highlights and main features of the walk: Rainforest hiking on formed marked tracks in the Wet Tropics rainforest of Paluma Range National Park. You see a variety of rainforest, two great waterfalls on day one, and lot of birds. Day two is more rainforest, a lookout, then later transit through grass trees and she oaks to large buttress and strangler fig trees near the end. There is also old tin mining history in the area around Mt Spec. You can see several golden bower bird bowers, or tooth-billed bower birds’ bowers in season as well. Often we see fresh cassowary droppings on the tracks. Most challenging aspect? It is an undulating walk, with several hills that are about 15 minutes to ascend, and several creek crossings, so by the end of the day it can feel tiring. Being in rainforest it can be humid. Most rewarding aspect? The variety of the walk environment, and being able to enjoy and experience this unique and Wet Tropics special environment. Best time of year to go? 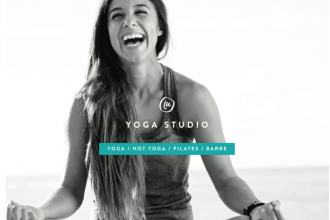 Anytime, but the cooler months of the year are best. After heavy rain the creeks may not be passable. What to bring? It is a two-day hike so you need camping gear and food for two days. Water can be refilled along the way at several spots, but plan on carrying three litres at any time. Anything else to know? The formed marked tracks are not official QPWS tracks and are not published nor maintained by QPWS. It requires local knowledge to find the tracks, which is why it’s a good idea to do it with the Townsville Bushwalking Club. Paluma to Bambaroo Day One. 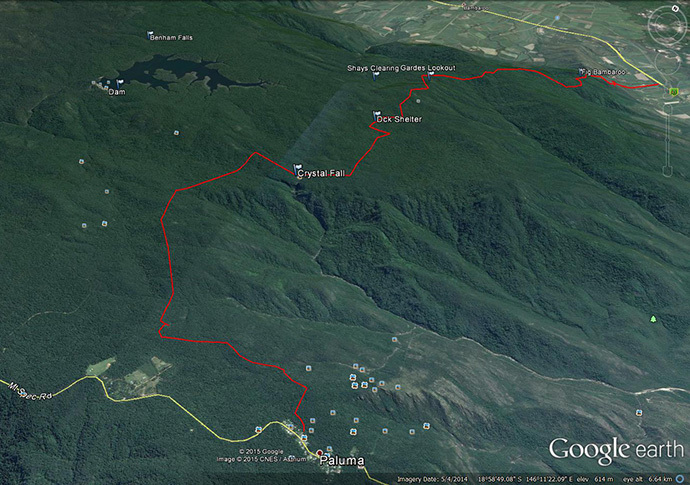 Being a point-to-point walk, you need to arrange for drop off at Paluma then pick up at Eleanor Creek. Campsites are available at Johnstone’s Clearing or Shay’s Clearing — you need to book permit with QPWS. It is a remote area with no mobile phone reception. You need to carry first aid kit, PLB (EPIRB), and be self-sufficient in a remote hiking area. There are several options to vary this walk, starting and finishing at different locations. 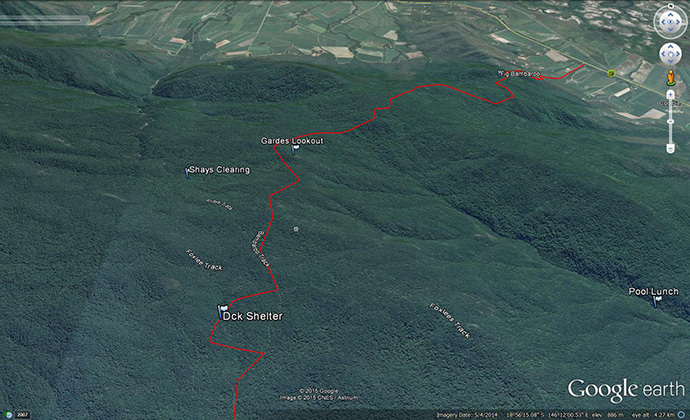 Or you can do parts of the track network as one-day hikes. Paluma to Bambaroo Day Two. 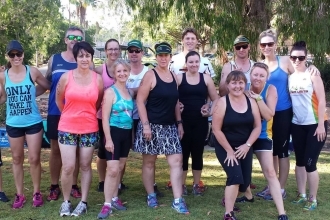 Townsville Bushwalking Club organises bushwalks every two weeks, except for the hottest part of the year. Many of the walks are within an hour’s drive of Townsville. One-day walks are held on Sundays and there are some multi-day walks on the calendar. Visitors and members who wish to participate in the next walk are required to attend the pre-walk meeting for a briefing on the walk, and approval by the walk leader to participate. The minimal level of fitness required is to be able to walk up the Goat Track of Castle Hill with ease. The destination is decided at the meeting, with weather and other conditions taken into consideration. For more information and a list of upcoming walks see our Events Calendar or the Townsville Bushwalking Club website. Townsville Bushwalking Club started in April 1961. 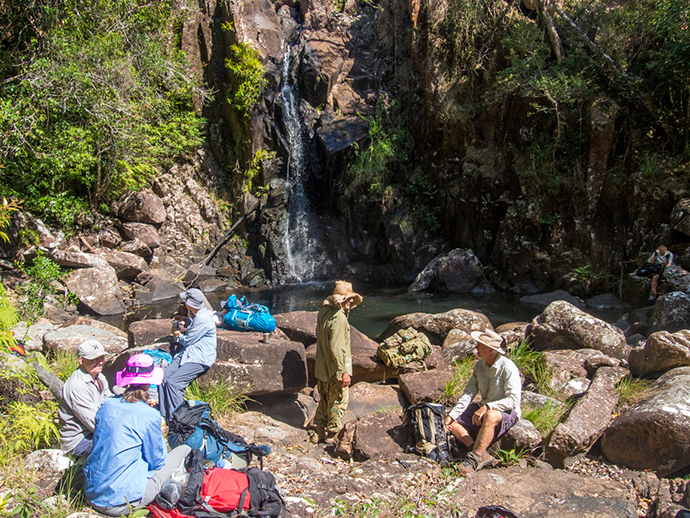 The club is very active bushwalking in the region, mainly within 80 km of Townsville. We also do extended trips further afield like Porcupine Gorge, White Mountains. 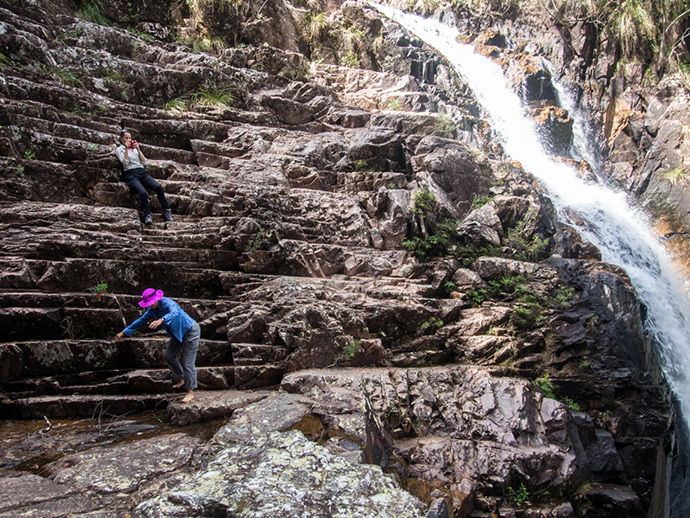 Typical bushwalks visit gorges, waterfalls, and peaks all-year round. See our website for more info, and come along to a pre-walk meeting.